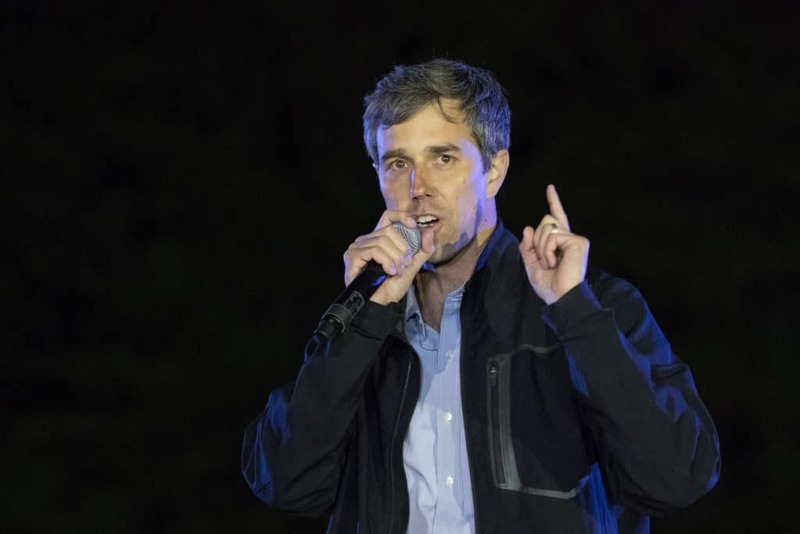 During a campaign event in Sioux Falls, Iowa, on Thursday evening, Democratic presidential candidate and former Rep. Beto O’Rourke made the case that Trump’s rhetoric as president had some comparisons to Nazi Germany. e way Trump defended his actions in separating children of immigrants and putting them in cages after they crossed the U.S. southern border, Bloomberg reported. Trump’s language overall when it came to the issue of immigration “follows the rhetoric of a president who not only describes immigrants as rapists and criminals, but as animals and an infestation,” O’Rourke said. After the rally, when questioned about the comments O’Rourke stood by them, touting examples beyond immigration as proving his point. “Seeking to ban all Muslims — all people of one religion, what other country on the face of the planet does that kind of thing?” O’Rourke rhetorically asked. He added that Trump’s choice to defend neo-Nazis at a rally in Charlottesville, Virginia, in the summer of 2017 also troubled him. Trump “saying that neo-Nazis and Klansmen and white supremacists are very fine people” was not acceptable in O’Rourke’s opinion. During his visit, O’Rourke also recalled meeting with a Mexican-American grade-schooler who had asked the candidate why the current president didn’t like her. “I thought, what is that doing to her head and her conception of herself and what she is able to contribute to this country, when the president of the United States has called Mexicans rapists and criminals, he then went on to call asylum seekers animals and an infestation,” O’Rourke said, per reporting from Newsweek.